The Janssen Pharmaceutical Companies of Johnson & Johnson today confirmed positive topline results from the global, Phase 3 FLAIR (First Long-Acting Injectable Regimen) study of a long-acting, injectable two-drug regimen (2DR) for the treatment of HIV. The study, conducted by ViiV Healthcare, showed long-acting rilpivirine and cabotegravir, injected once a month, had similar efficacy to TRIUMEQ (abacavir/dolutegravir/lamivudine-ABC/DTG/3TC) based on the proportion of participants with plasma HIV-1 RNA ≥50 copies per millilitre [c/mL] using the FDA Snapshot algorithm at Week 48. Overall safety, virologic response and drug resistance results for the injectable regimen were consistent with results from the Phase 2 LATTE and LATTE-2 studies. The FLAIR study was designed to establish whether adult participants infected with HIV-1, whose virus is suppressed after 20 weeks on the daily, oral medicine TRIUMEQ, remain suppressed at a similar rate to continuing TRIUMEQ after switching to the novel, two-drug long-acting regimen of rilpivirine and cabotegravir. Detailed results from the FLAIR study, co-funded by Janssen and ViiV Healthcare, will be presented at an upcoming scientific meeting. At HIV Glasgow Drug Therapy Meeting in Scotland this week, three-year results were presented from LATTE-2, a Phase 2b study investigating a long-acting injectable, two-drug regimen of rilpivirine and cabotegravir, administered either every eight weeks or every four weeks. These results demonstrated high rates of virologic response, long-term durability of virologic response and good overall tolerability. At 160 weeks, 90% (104/115) and 83% (95/115) of the patients receiving the injectable regimen of rilpivirine and cabotegravir every eight and four weeks, respectively, remained virally suppressed. Of the patients on the oral comparator arm who elected to switch to the injectable regimen at Week 96, 97% (33/34) and 100% (10/10) remained virally suppressed on every eight- and four-week dosing schedule, respectively, at Week 160. Through Week 48, two patients developed protocol-defined virologic failure (PVDF) on the every-eight-week dosing arm, one with treatment-emergent, non-nucleoside reverse transcriptase inhibitor (NNRTI) and integrase inhibitor (INI) resistance. No additional PVDF cases were observed on any arm between Week 48 and Week 160. A majority of participants reported an injection site reaction (ISR) through Week 160, of which 85% were mild and 14% were moderate. Eighty-seven percent of ISRs resolved within seven days. Excluding ISRs, the most common adverse events (AEs) were nasopharyngitis (38%), diarrhoea (22%), and headache (22%). Three percent (3/115; Q8W) and 10% (12/115; Q4W) of patients had AEs leading to withdrawal or discontinuation and only 3/274 patients had ISRs leading to discontinuation through Week 160. FLAIR is the second, Phase 3 clinical trial to examine the safety and efficacy of monthly dosing of injectable formulations of cabotegravir and rilpivirine. The ATLAS (Antiretroviral Therapy as Long Acting Suppression) study, for which positive headline data were reported in August 2018, compares a long-acting, injectable regimen against the continuation of current daily oral antiretroviral therapy in virologically suppressed, treatment-experienced patients. Pooled data from the FLAIR and ATLAS studies will be used for future regulatory submissions. This novel regimen is being co-developed as part of a collaboration with ViiV Healthcare. Rilpivirine is approved as oral tablets and is investigational as an extended release suspension for injection. FLAIR is a Phase 3, randomised, open-label, multicentre, parallel-group, non-inferiority study designed to assess the antiviral activity and safety of a two-drug regimen of intramuscular, long-acting, injectable rilpivirine and cabotegravir in virologically suppressed adults living with HIV, following 20 weeks of induction therapy with TRIUMEQ. The primary endpoint for FLAIR is the proportion of participants with a ‘virologic failure’ endpoint as per the FDA Snapshot algorithm at Week 48 compared to those continuing TRIUMEQ (Missing, Switch, or Discontinuation = Failure, Intent-to-Treat Exposed [ITT-E] population). For further information please see https://clinicaltrials.gov/ct2/show/NCT0293852. LATTE-2 is a Phase 2b, multicentre, parallel-group, open-label study in antiretroviral therapy-naïve HIV-infected adults designed to test the antiviral activity, tolerability, and safety of two intramuscular dosing regimens of long-acting injectable rilpivirine and cabotegravir. After a 20-week induction period on oral cabotegravir and abacavir/lamivudine, suppressed patients were randomized 2:2:1 to receive the long-acting injectable rilpivirine and cabotegravir every eight weeks, every four weeks or to continue the oral cabotegravir and abacavir/lamivudine. After 96 weeks, treatment for patients on the long-acting, injectable regimen was extended through 160 weeks and patients on the oral regimen were given the option of transitioning to the long-acting regimen either every four or eight weeks. For further information please see https://clinicaltrials.gov/ct2/show/NCT02120352. Rilpivirine is a non-nucleoside reverse transcriptase inhibitor (NNRTI) approved as EDURANT® for the treatment of HIV in combination with other antiretrovirals and is being developed by Janssen Sciences Ireland UC in a long-acting formulation (Rilpivirine LA). Rilpivirine LA is an investigational injectable nanoparticle suspension for intramuscular injection which is not approved by regulatory authorities anywhere in the world. Cabotegravir is an investigational integrase inhibitor (INI) and is not approved by regulatory authorities anywhere in the world. Cabotegravir is being developed by ViiV Healthcare for the treatment and prevention of HIV and is currently being evaluated as a long-acting, nanosuspension formulation for intramuscular injection and also as a once-daily oral tablet for induction prior to long-acting injection. 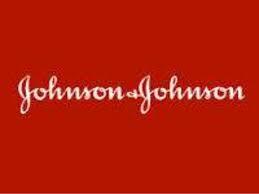 Janssen Sciences Ireland UC and Janssen Pharmaceutica N.V. are Janssen Pharmaceutical Companies of Johnson & Johnson. Combatting HIV is an important component of Johnson & Johnson’s long-standing legacy of commitment and partnership to improve global public health for individuals, families and communities worldwide. Janssen supports this commitment with ground-breaking science and innovative strategies to improve access to medicines, foster collaborations, and support public health solutions to sustainably advance health care worldwide. Through Johnson & Johnson’s global public health organization, the company aims to deliver integrated evidence-based solutions to address comprehensive health needs and deliver meaningful and enduring impact in three core focus areas: HIV, maternal and child health, and extensively drug-resistant (XDR)- and Multidrug-resistant (MDR)- tuberculosis (TB). This press release contains “forward-looking statements” as defined in the Private Securities Litigation Reform Act of 1995 regarding rilpivirine and development of potential preventive and treatment regimens for HIV. The reader is cautioned not to rely on these forward-looking statements. These statements are based on current expectations of future events. If underlying assumptions prove inaccurate or known or unknown risks or uncertainties materialize, actual results could vary materially from the expectations and projections of Janssen Sciences Ireland UC, any of the other Janssen Pharmaceutical Companies and/or Johnson & Johnson. Risks and uncertainties include, but are not limited to: challenges and uncertainties inherent in product development, including uncertainty of clinical success and of obtaining regulatory approvals; uncertainty of commercial success; manufacturing difficulties and delays; competition, including technological advances, new products and patents attained by competitors; challenges to patents; product efficacy or safety concerns resulting in product recalls or regulatory action; changes in behaviour and spending patterns of purchasers of health care products and services; changes to applicable laws and regulations, including global health care reforms; and trends toward health care cost containment. A further list and descriptions of these risks, uncertainties and other factors can be found in Johnson & Johnson’s Annual Report on Form 10-K for the fiscal year ended December 31, 2017, including in the sections captioned “Cautionary Note Regarding Forward-Looking Statements” and “Item 1A. Risk Factors,” in the company’s most recently filed Quarterly Report on Form 10-Q, and in the company’s subsequent filings with the Securities and Exchange Commission. Copies of these filings are available online at www.sec.gov, www.jnj.com or on request from Johnson & Johnson. None of the Janssen Pharmaceutical Companies or Johnson & Johnson.